I thought I would share another shot from the Henry Moore show at Denver Botanic Gardens. 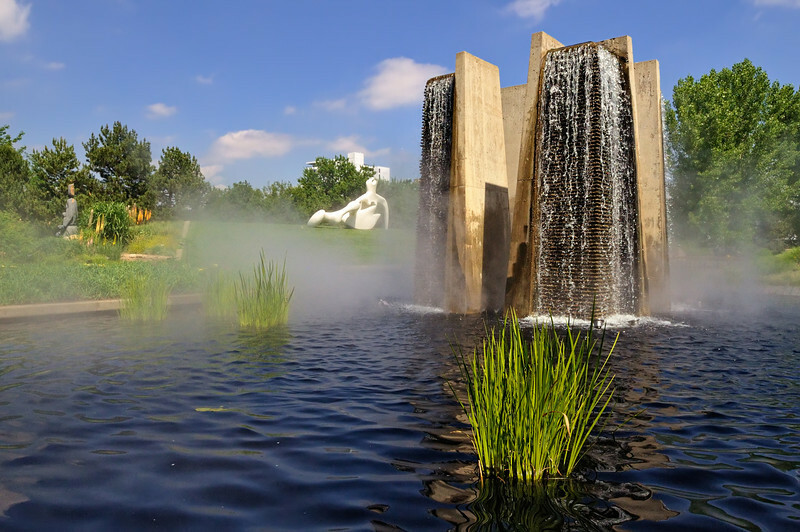 This one features the Four Towers Fountain, Moore's Reclining Figure is seen in the background right and a Chapungu sculpture on background left. One of my favorite things about Denver Botanic Gardens is the neat balance between art and nature, it makes for a trip to the gardens that much more special!